If you are a time trialist or triathlete one of the benefits using a power meter is that it enables you to optimize your aerodynamics. Better position on the bike supplied with aerodynamic equipment can help you to save seconds or even minutes in a time trial. Now I will show how you can use a power meter to optimize aero position on your bike through a simple testing procedure. Wind tunnel tests are referred to as the gold standard of optimization of aerodynamics. These wind tunnel tests are expensive and therefore we only see professional riders use these tests to optimize their position on their aero bikes. It’s logic that professional riders have a great advantage being able to do wind tunnel testing. Often it is only the classement-riders who get the chance to do these tests due to the high cost. Don’t worry, here comes the good news. A power meter can help you optimize your aerodynamic position without ever visiting a wind tunnel or spending extra money! If you are the lucky owner of a power meter like SRM or PowerTap you can perform your own aerodynamic tests. It’s essential to have a precise measuring of power output. Currently I think SRM and Powertap are the two best power meters on the market. Using cheaper and less precise power meters is not recommended. If you don’t have a power meter, then buy one or try to borrow one. A power meter is the single best investment for a serious rider who wants to improve performance. The fact that it enables you to make aerodynamic testing, precise analysis of power output in races and training situations and finally is a solid training partner/coach makes the power meter an easy choice. Best of all, the power meter presents objective data that are not influenced by weather, hydration, stress or any of the many parametres that affect your heart rate. Maybe you remember how I last summer used a power meter to investigate how much bike weight costs on Alpe d’Huez? The U23 rider who performed these trials had to maintain a power output around 275w on all four rides up Alpe d’Huez. The test bike was a Pinarello Prince equipped with Shimano Dura Ace and SRM crank. Afterwards I could compare the finishing times to see what price you pay if you carry extra weight. It’s obvious that you can make more precise trials than we did here, but it shows the principle of using a power meter to optimize your equipment. Thus, after these trials we had a picture of how much weight matters in the Alps. When you ride up Alpe d’Huez, aerodynamics don’t play a big role because you ride relatively slowly. In time trials the speed is much higher and many serious riders perform average speeds above 40km/hr. Thus, optimization of aerodynamics should be the major concern if you want to improve performance without spending more time struggling with your threshold power. 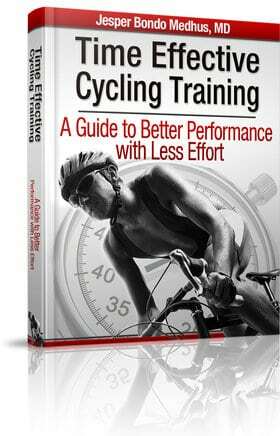 You will need a circuit where you can ride fast and still maintain a constant speed/power output. This is best done on a velodrome. If you don’t have a velodrome in your neighbourhood then you have to be a little creative to make a good course for your tests. It’s still possible, but there are more factors that can influence on your ride. Though, it gets more difficult to show small differences. Write down all the tests and numbers you want to collect and in which order. That could be the different aerodynamic materials you would like to test and/or different body positions on your bike. It’s a good idea to start with a standard upset of your bike e.g. Standard frame + standard equipment + standard body position. When you want to test different set-ups, change only one parameter at the time. Otherwise it gets difficult to identify what set-up change actually resulted in reduced aerodynamic drag. Make two rides of 1-3km with each set-up. The more rides you do, the better chance you get to show a small significant difference. When you ride on a flat road with a constant power output differences in speed are primarily due to your aerodynamics. If you decide to use the constant power output method, you have to keep your power output as constant as possible and keep your desired aerodynamic position on your bike. When you have finished one lap on your circiut, notice your average speed and power output. Hopefully you get power outputs there are so close to each other that differences in average speed can be accepted as due to altered aerodynamics. When you ride on a flat road with a constant speed, differences in required power output are primarily due to your aerodynamics. If you decide to use the constant speed method, you have to keep your speed as constant as possible and keep your desired aerodynamic position on your bike. As you can see, this method is much the same as the constant power output method. The difference is that you here try to keep average speed so close to each other that any difference in power output can be considered due to altered aerodynamics. Constant power output or speed? Decide whether you use constant wattage or constant speed method. Both are good methods, but if I have to pick one I will choose the constant speed method. I recommend it because it gives you the possibility to use an iPod in your ear to keep a constant pedalling frequency. When you’ve found the right gear combination, this little trick makes it easier for you to ride at the decided speed in all tests. You just follow the rhythm from the music just like when you are at a spinning lesson. Thus you can concentrate 100% on holding your aerodynamic position on your bike. Riding at speeds close to your race speed is the most optimal since it is here you can see how many watts it’s possible to save. There is, however, a little risk that the workouts with standard setups can become quite hard intervals. This will not happen with the constant power output method. If you use the constant power output method there is a risk that you loose focus on holding your aero position. The positive thing is that the result is directly shown as increased speed/saved seconds. Thus you can immediately see how much faster you will go if put on e.g. an aero helmet instead of your standard helmet. It’s a good idea to have an assistant to help you e.g. 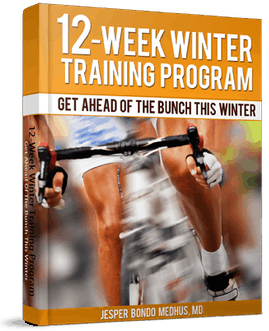 your cycling coach, a friend or family member to keep track of the data stream. Assistants can be helpful throughout the whole process. As I said previously we need data from two rides with each setup at a speed close to race speed. Doing tests with a distance of 1 to 3km gives you a fair chance to notice significant changes in aerodynamics. I recommend that you do more of these tests instead of longer tests because weather conditions might influence on the results (temperature, changing winds). It is also recommended to do a few tests at lower speeds e.g. 80 and 90% of race speed. This increases the power of your data and gives you the chance to spot trends at an early stage. This is the really interesting part of this process since this is where you find out what works for you. You will be amazed how much time you can save with an optimized body position on your bike. Also you have the chance to figure out how much time can be saved if you use a rear disc wheel. Remember to look at both material and body position savings because they can add up. I know that it is expensive to buy aero gear for your time trial bike, but using the principles above you can find out where you get the best value (watts or seconds) for money. Feel free to share your experiences with the readers here at Training4cyclists.com. If you have some interesting observations, let us hear about them. How many watts did you save using the principles described above? There are many benefits of using a power meter. It enables you to do aerodynamic testing without extra cost and still offers a qualified alternative to an expensive wind tunnel test. Doing aerodynamic tests using a power meter can help you to optimize your aerodynamic position on your time trial bike and/or selecting the right combination of aerodynamic wheels/frame/helmet etc. Why not test aerodynamics at power output of “0”. In other words find a steep long hill and coast. Same principles as described in the article without having to “be careful to keep the power output the same”. @Rory – Thanks for commenting. I’m sorry if you have the experience that I only try to sell power meters. That´s not my intention. I’m not selling power meters – actually you can´t buy anything here on Training4cyclists.com. I like the concept of power meter training and that is why I advocate power meters as a tool to optimize your training. Thanks .. for all your training tips.. love it..
Or you could just fit a Newton aerodynamic power cycling computer, pair it with your power meter and forever read your CdA value – live. If you feel like re-visiting this, we’d be happy to oblige.